Andrew Young once hid Rielle Hunter and claimed her love child with John Edwards was his own. 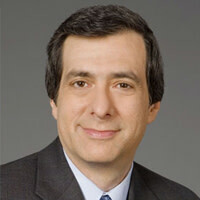 Howard Kurtz talks to Young’s lawyer about why Young feels vindicated—and explains the complex financial transactions that led to Edwards’ indictment today on six counts, including conspiracy, four counts of illegal campaign contributions, and one count of making false statements. Plus, 7 key questions about the Edwards case answered. Amid the wreckage of John Edwards’ life and career, one man who lied on his behalf is welcoming the indictment of the former presidential candidate who rose so high and crashed so hard. Andrew Young, the loyal aide who once claimed that Edwards’ out-of-wedlock baby was his own, cooperated with federal prosecutors who brought the six-count indictment Friday in exchange for avoiding charges in the case. Edwards has pleaded not guilty. Young told his tangled tale of deception in a book after breaking with Edwards. “I was scared, genuinely scared, for me and my family,” Young told ABC News last year. But in an extensive conversation with The Daily Beast, his lawyer made clear how intimately involved Young was in handling the illicit funds that are at the heart of the indictment. A grand jury in Raleigh, which heard from Young on several occasions, charged the Democratic politician with four counts involving illegal campaign contributions and one count of making false statements. As the world now knows, Edwards had an affair with his campaign videographer, Rielle Hunter during the 2008 election. And when she gave birth to a girl, Young—who describes himself as “serving as butler, personal shopper, and all-around handyman for the entire family”—agreed to take the rap. This was made all the more surreal by the fact Young was married—his wife, Cheri, has also spoken to the prosecutors—with children of his own. Given Young’s role in the coverup, Geneson says, “he was at risk, as someone involved in the process,” to be named in a conspiracy charge. Young had already been subpoenaed when Geneson entered the case and cut a deal with the prosecutors. The secret funding to further that coverup came from two financial supporters of Edwards: Rachel “Bunny” Mellon, who provided $725,000, and the late Fred Baron, who kicked in between $200,000 and $400,000. “Edwards would set it up, and Andrew would do the ask,” Geneson says. Young’s role with Hunter was to “keep her away from the press, keep her under wraps” and “hide from the National Enquirer,” which ultimately broke the story of Edwards’ affair and love child. According to Geneson, Young first took Hunter, her infant daughter, and his own family to an Aspen ski lodge owned by Baron, and then rented a house in California with the secret cash. Mellon, whose funds were known as “Bunny money,” would write checks to her decorator, who would sign them over to Cheri Young using her maiden name, Geneson says. But the money, which ensured Hunter’s silence, also protected “the image that Edwards was projecting, Mr. Family Man, Mr. Good Guy,” Young’s lawyer says. “She was freaked out by this,” Geneson says of Cheri Young. But the money, which ensured Hunter’s silence, also protected “the image that Edwards was projecting, Mr. Family Man, Mr. Good Guy,” Geneson says. Indeed, Edwards made his wife, Elizabeth, a cancer victim whom he told of the affair the day before launching his presidential bid, a centerpiece of his campaign. She died last year. Andrew Young, who now works for a company that makes prosthetic devices for wounded veterans, eventually reached the breaking point. If the case goes to trial, Andrew Young will get to tell his story again in court.